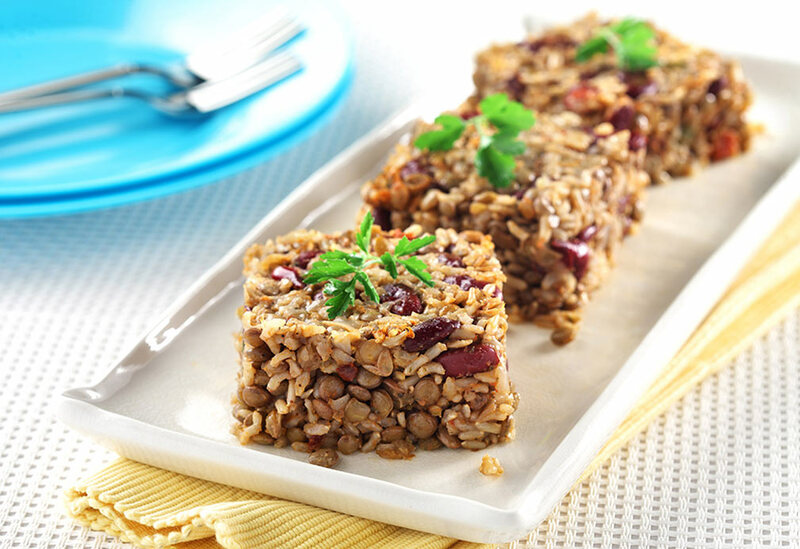 Beans, lentils and brown rice pack a whole grain and vegetable protein punch. 1. Preheat oven to 350 ºF (180 ºC). Lightly spray 3-quart (3.4 L) casserole with canola oil cooking spray and set aside. 2. In large pot, heat canola oil over medium-high heat. Add onions, reduce heat to medium and cook for 3-4 minutes. Add garlic, chipotle peppers, oregano, savory and black pepper and cook for 1-2 minutes more. Stir in salsa and deglaze pan. 3. Add brown rice, lentils, kidney beans, water and bay leaf. Bring to a boil. Transfer mixture to prepared baking dish. Cover with foil and bake in preheated oven for about 1 1/4 -1 1/2 hours or until rice and lentils are tender and no water remains. Stir twice during baking, replacing foil before returning to oven. 4. Remove from oven, remove bay leaf and sprinkle with cheese. Leave foil off and return to oven for 3-4 minutes to melt cheese. 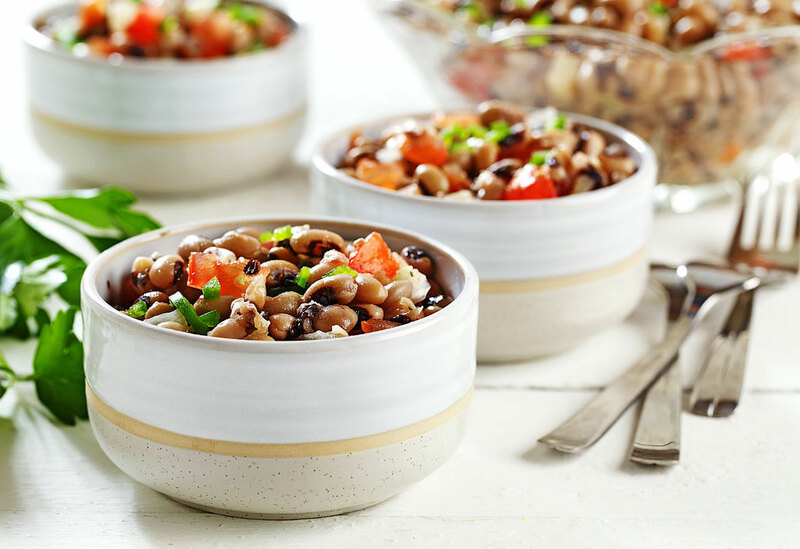 Blacked-eyed peas are generally cooked with bacon, but you won't miss it in this recipe because of the seasonings. It's "thyme" to enjoy these peas without bacon. 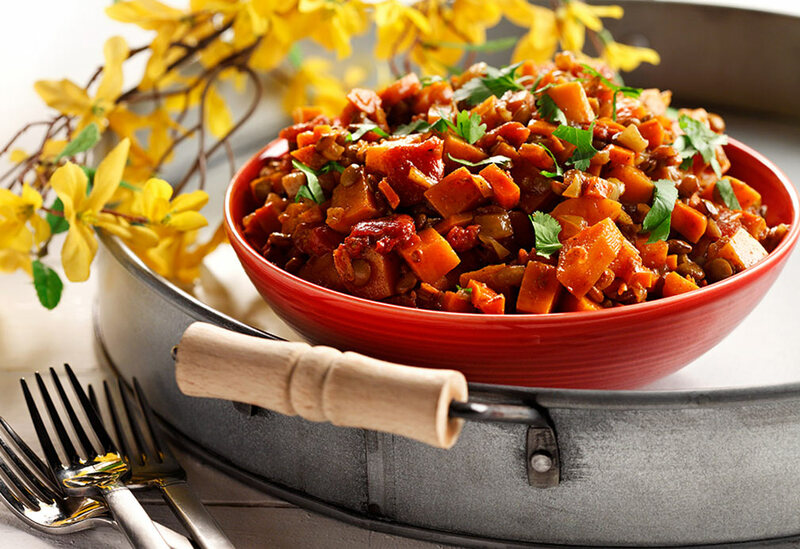 A spicy vegetarian dish made healthier with the use of canola oil, which has the least saturated fat of all common cooking oils. If you like your food spicier, add red pepper flakes. A simple, yet richly flavored dish. Enjoy on its own or over warm quinoa, brown rice or millet. 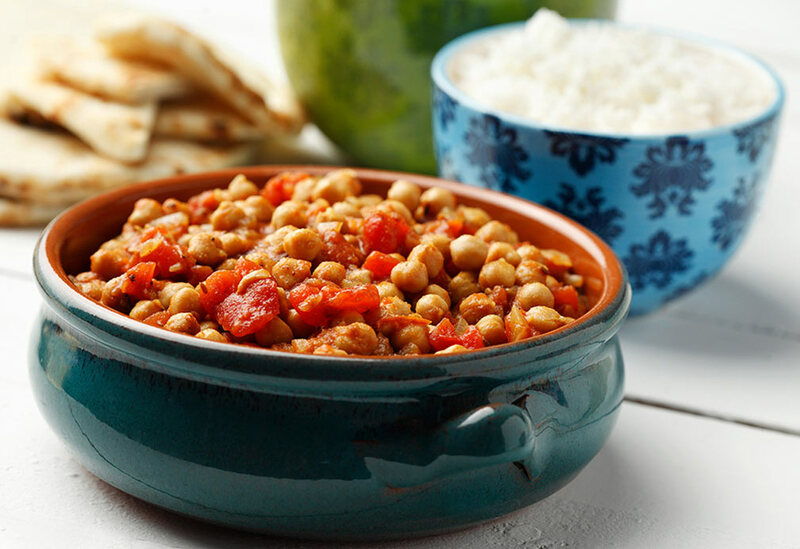 Make lentils a regular part of your meals for quality protein and a good source of fiber. Try this recipe with different vegetables such as cauliflower, bell peppers, celery or broccoli.